The two most common types of modern doors are sliding doors and French doors and people are usually torn between the two options. Well, your choice of door should not be based on only personal preference. You need to consider a few other factors. It is better to consider the pros and cons of both doors before making your choice. This article outlines the features of both types of door and includes their pros and cons. A sliding door is self-explanatory. It is the kind of door that opens by sliding sideways. One half of the door slides while the other half remains fixed. On the other hand, French doors are a couple of hinged doors that meet at the center when closed and each of them opens to opposite sides. The left door opens to the left while the right door opens to the right. Or the opposite. The biggest advantage of these doors is space conservation. If there are things close-by, they may obstruct French doors, so you should consider sliding doors. 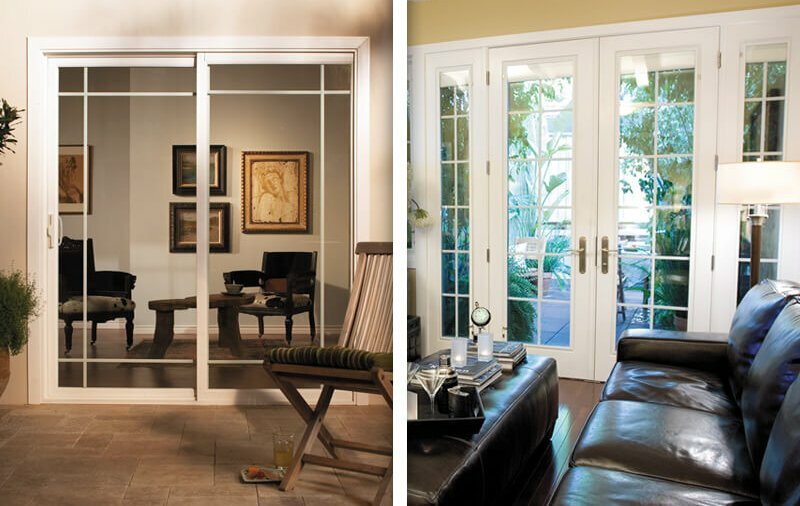 Sliding doors are very energy efficient and they give a room more natural light. Affordability is another factor to consider. Sliding doors are usually cheaper than other options. Sliding doors also give your apartment a big face-lift. Unlike the old types of sliding doors, modern ones are more secure as they now have improved locking system. The biggest drawback of this type of doors is small entry. It is only one half that slides open, the other half remains fixed. So, you may find it difficult to move large items in and out of your apartment. These doors require regular maintenance checks. The bearings of the sliding can easily get worn out from extensive usage. French doors offer several options. You can decide to keep one door permanently closed and the other functional. You may only need to open the other half when you are either bringing out large objects or taking them in. You can also decide to make them open either inward or outward. Since they open double-wide, they can let in loads of natural light. In addition, they come in a wide variety of designs so you will always get a suitable French door design for your house. Most importantly, French doors are generally more secure than sliding doors. The major drawback of French doors is that they usually take some space for their swing. The second drawback is that they are generally more expensive than sliding doors. Since both of them have their pros and cons, it is not realistic to say one type is better than the other. It is the situation or circumstances that will determine the better choice.